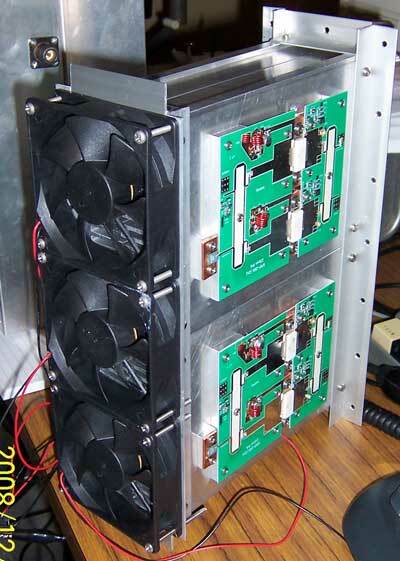 Barry (VE4MA) took a different approach with his SSPA kits, opting to use four heat sinks (one for each 150w unit) and multiple fans. The photo to the left shows his PA under construction. He reports 600w out from his operational system, shown below. 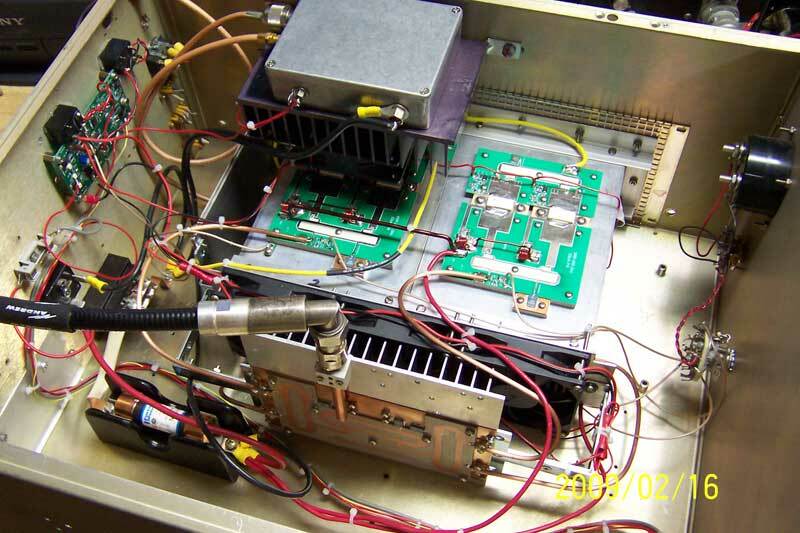 His PA includes a single xrf-286 as a driver for the four 150w units.